Calves aged 2-11 weeks, at Uphampton Farm, Leominster. Two batches of 30 calves each, matched by breed, taken from 2 weeks to 11 weeks of age. One batch was offered the usual calf starter nut alongside milk, with the other offered the same nut but with most of the soya hull content replaced by NIS. The calves fed the standard ration gained an average of 0.99kg per day over the nine-week period, whereas the calves fed the NIS ration gained 1.1 kg per day. 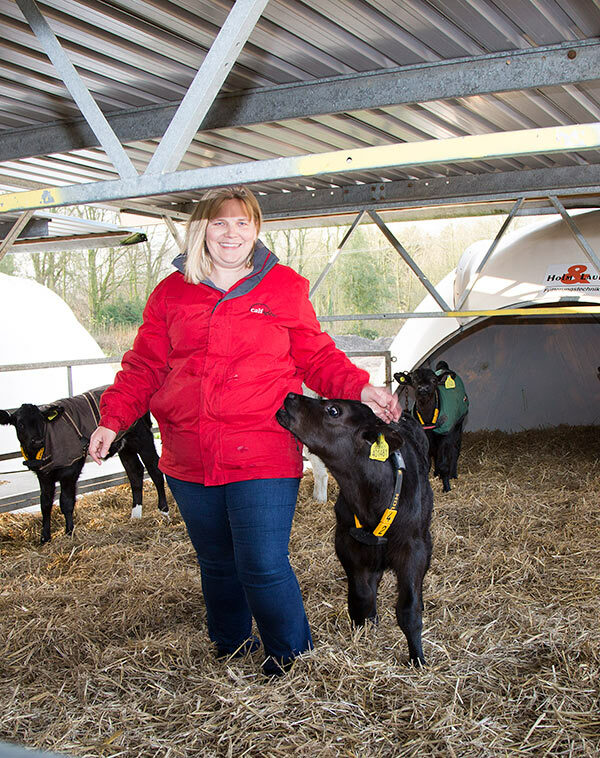 The cost per kg of each calf starter was the same, but the calves on the NIS ration ate 3.5% more – 152 kg each compared with 146.8kg over the nine weeks. 190 incidences of dirty tails recorded throughout the period in the group fed the standard ration, compared with 113 in the group fed the NIS diet.